I would like to kitbash this thing. 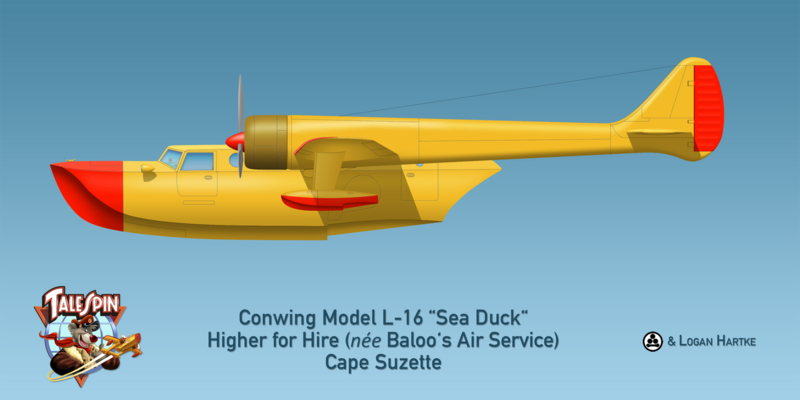 "The design of the Sea Duck is a combination of a Fairchild C-82 Packet transport and a Grumman HU-16 Albatross amphibian. 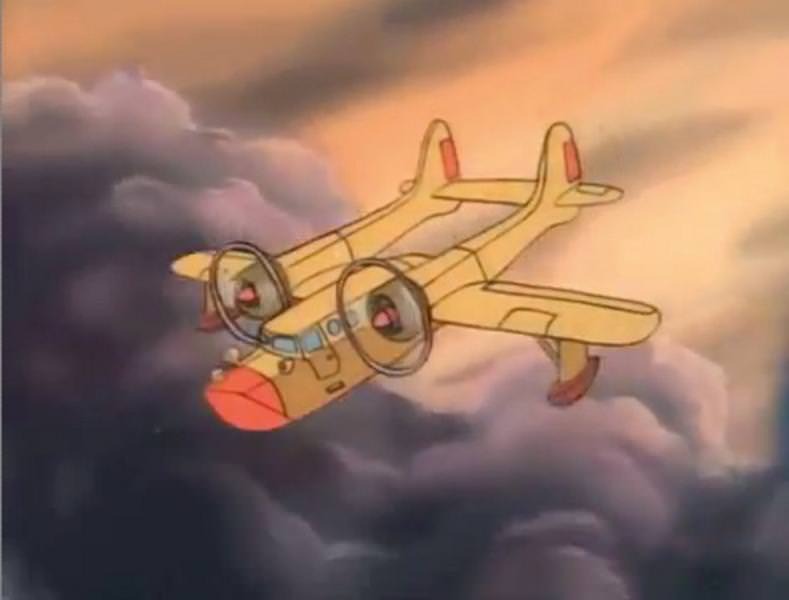 While The Sea Duck also shares a lively resemblance of a Canadair CL-215 waterbomber, it's basic shape and design closely resembles a Blohm & Voss BV 138 Seedrache (Sea Dragon), a three engine seaplane designed by the Germans during World War II." 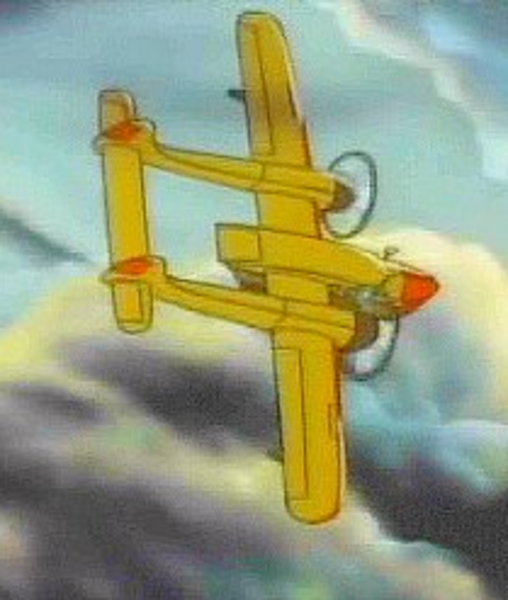 It's the airplane in the cartoon series "Talespin" (best cartoon of its era! ). I've always liked it and loved watching the adventures the rotund bear and his pantsless friend would get into. So, I'm wondering...... what do you all think about going about making a Sea Duck? Go For it. The hull also looks similar to the Loire 130. Have this as a pending project for a while, although as a USN whif! 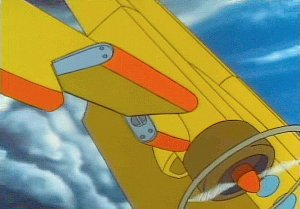 Having never seen the cartoon, stumbled across the aircraft on one of the paper model sites, years ago. Should be interesting to use as a template to build out of plastic card. That it does!! The blunted nose bears a striking resemblance. How about that!! Very cool. I'm going to have to find a printer. This thing in USN would look fabulous..... get after it! I'm in the same boat. My printer packed up over a year ago, just after the PC died. A printer, that's not used very often, just wasn't high on the list, and other things, like bills, seem to more important. Where on earth did you find such a fuzzy, terrible copy of my crisp, clean profile? You don't need to search the internet for poor quality stuff when we post the good stuff directly to this forum. Ha! I know what you mean. I actually have one, and ink, supposedly (if it's not "expired"). I've been meaning to try my hand printing out some decals and had everything ready to go, nearly, when I discovered I didn't have a cord I needed and that was the end of it. This was about a year and a half ago. Ah! I Knew there was a decent profile of it somewhere, couldn't remember where! Have to say, the Pan Am livery is quite fetching. Thank you for the reminder Logan. While you were busy chastising me, you completely ignored the intent of the post and failed utterly to provide a shred of actual help. See, I'm looking to BUILD this, not simply LOOK at it. You may want to re-read the post and try staying on track here. To answer your question, I simply used google image search. That's how I always begin ANY research project, by starting on Google. I will continue to do so whether you or anyone else likes it or not. Gorgeous profile, by the way, but you could learn a thing or two about decorum. See, I'm looking to BUILD this, not simply LOOK at it. I'm sorry if I came across that way, TheChronicOne, I guess I should have used more emojis! The "chastising" was only meant in jest. I would ask that you consider the work that goes into some of profiles, though. It may only be pixel pushing to just "look" at, but I assure you making some of these in plastic and resin can take less time than some of these profiles! I know from having built models myself! In fact, if you take a close look at the profile, you'll see that Talos (Sean) and I made a number of changes to the original to make it work in the real world. If you check out the link to my thread that I provided, you'd see that it has a good deal of help in that regard. I noticed that your profile has a step in the hull, but the original cartoon has no step, I'm wonering as the hull ends just behind the wing trailing edge would it even need a step? And check out the location of the dive brakes! Talos and I were concerned that it would still have trouble breaking the surface to get airborne. I'd point to the Curtiss NC-4 and Blohm & Voss Bv 138 as examples of aircraft with similar configurations, but also had the step. We made a number of changes to the aircraft to actually make it feasible. The landing gear was one of those changes. We took that off the Consolidated Model 31 (XP4Y-1 Corregidor) since the original Sea Duck's was far too narrow and small. Likewise, we increased the size of the rudders and lengthened the hull. The "dive brakes" were totally unfeasible and would have been ripped off the instant they were used, so we kept the same location and appearance, but made them deployable droops, instead. The side floats would be the easiest to procure as they're light on detail and you could get similar ones from any number of sources. The Loire 130's not a bad fit from a hull size and fit, but I'd be worried about the way the Loire 130's fuselage narrows in front of the cockpit. That'd probably give it the wrong look. Similarly, a Bv 138 may work, but that'd take some serious surgery. Oddly, it may not be immediately obvious, but working with a Curtiss NC-4 hull and putting a new top on it could work, too. My best recommendation, however would be some of the Sikorsky Clippers. You may get closest by starting with one of the Sikorsky S-40/42/43 family, chopping it down, and then pairing it with some P-61 booms. You'd have to add some P-38-style horizontal stabilizers outside of the booms, and swap out the props for 3-bladed ones, but you'd be pretty close with that combo. You could probably steal the engines and props from the S-42 while you're at it. The wings and floats should be comparatively easy to combine since they're both pretty generic. I also think that's why the Sea Duck takes so well to the PanAm livery. It's boat hull has a very Sikorsky look. Again, I meant no offense and had no intention of hijacking your thread, TheChronicOne. I apologize if I came across that way. The ribbing was meant to be good-natured and it was my fault if I didn't express that better. HaaaHaaa!! Still off the smokes Brad? Well, Logan beat me to it! That's the problem with this typing stuff, and hard to convey, and misinterpret unless using them bloody smiley faces!!!! "Put the handbag down sir, step away from the handbag!" Well, thanks, bud!! I didn't mean to imply that the artwork and profiles people make are simple affairs, by any means, and appreciate the hours of work and time that go into them. I'm just emphasizing that in my endeavor to build one that I am not necessarily looking for visual aids insomuch as I am looking for physical ones... e.g. "You need to buy this kit, this kit, this kit, and take these parts from this kit and put on these parts of this kit. You need to use the wings from that kit and the fuselage from that kit, then saw the nose off of that kit..." I wasn't meaning to slight the artist of the world. Trust me, I love y'alls work, I don't need convincing. Sorry if I came off harsh, as well. I've had bad experiences over the last few years with certain people arriving to ridicule, criticize, and berate me in times of need so I stupidly assumed that was what was going on. It has turned into a peeve of mine. People are typically faced with three options: Lend a hand, do nothing, or actively make the situation worse. Two of these I tolerate extremely well, the third is guaranteed to hack me off. This isn't your fault, though, so I apologize. I perused the links earlier and was admiring the artwork but the conversation distracted me. I didn't realize there was technical information to be had, I will go back to look again, thank you! Thanks for the additional information as well. So far today I am!! Almost 2:30 in the afternoon and not a one. Internet is a funny place sometimes. I had a similar thing happen a couple weeks ago with someone I do business with. I went from calm and cool to seeing red instantly and became pissed off. He didn't do it on purpose, I just have been conditioned to have a negative response to certain things. In THIS instance the basic jist was that they were claiming I goofed when in reality THEY goofed. Here they were trying to charge me nearly $100 for something when in fact they had messed up and were two weeks late paying me!! Turns out they didn't do it on purpose but.. boy.... that's a sure fire way to get me upset, "Sorry, uhhh, we didn't do anything wrong, in fact, you owe US money." "COME AGAIN PLAYER!!?!?" There's other things that will get me bent out of shape: lying, thieves, and other things of that nature. See, now, here's the thing... these are all things people SHOULD be pissed off about. Nothing wrong with that, but, then again sometimes things aren't always what they seem. Every so often something looks like it's being done on purpose or with malicious intent when it really isn't. Meanwhile I will gleefully let this place fill up with more information. I've been thinking about this project on and off for two years now so I'm not exactly in a hurry to get started buuuuuuuut..... perhaps I can start buying the junk I need slowly over time. Kits of the S-40+ family are pretty thin on the ground though. I know of one of the S-38 but that's a much smaller aircraft, but with a similar config. to the Sea Duck, albeit with VERY thin and skeletal booms. Well, I can get an S-42 for $150. I guess this is going to take a bunch of time whether I want it to or not. 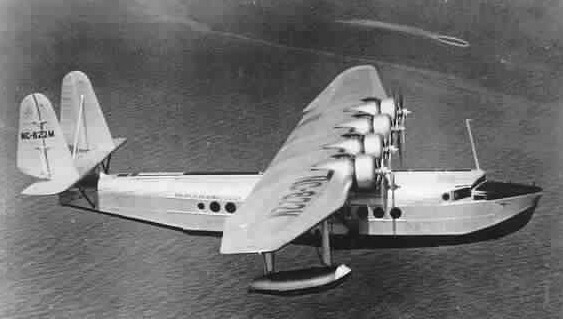 It's too bad a Boeing Clipper wouldn't work. So far I haven't really found any kits that will help me, but then again, I've only just started looking. Hopefully a solution will present itself.